Play Epic Adventure online for free now! 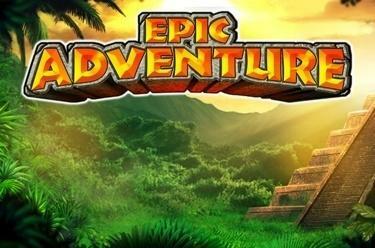 Epic Adventure is an adventure slot with 5 reels and no fixed win lines. The most lucrative symbol is the explorer. Your aim with Epic Adventure is to land as many identical symbols as possible on the reels. Because all symbols are Scatters only their number according to the paytable not their position on the reels counts: If the explorer symbol lands five times in any reel position you win! Epic Adventure wouldn't be a proper adventure slot if the courageous explorer himself wasn't the most lucrative symbol: He can trigger a free game as well as crack the jackpot! If you land 7 explorers at once with a spin regardless where the symbols appear on the reels you earn a free game. During free games the explorer symbols are fixed in their reel positions; if further explorers appear they are also fixed and you win another free game. If no more explorer symbols appear following a spin the feature ends and you return to the regular game. 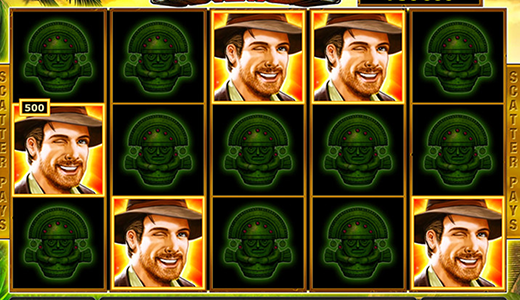 When 15 explorer symbols land at once following a spin you take home the progressive jackpot! The maximum bet earns you 100% of the jackpot, a smaller bet earns you a relevant share. Winning can be a doddle - who needs countless symbols, free games and other bonus features when you can play a slot that's simple and yet offers great chances for winning lots of cash? Exactly! Epic Adventure dispenses with difficult gameplay: There are two symbols that don't have to follow pay lines and there is a great jackpot - that's all you need for incredible gaming fun!